The Fifty Best held a “blind” tasting of 21 imported, unflavored premium and ultra-premium vodkas with 18 pre-qualified judges. Strict tasting rules were applied. The order of service was established beforehand by lottery. Each of the vodkas were poured into fresh glasses from new sealed bottles, and served at slightly above room temperature. Only ice water and neutral unflavored nuts and crackers were available to cleanse the palate. The judges tasted through 3 flights of 7 vodkas each; with food served during a rest period after the second flight. The tasting notes are summaries of the judges’ opinions. Prices quoted are for 750ml sizes. Prices may vary by state and do not include sales tax. Country of origin is given, with a few tidbits added for each brand. (France) $34 - Quinoa based, cultivated from a cooperative of 1200 farmers. Nose: Floral, fruity, touch of wood, aromatic citrus, lime, approachable. Palate: Herbal, melon, cassis, berries, floral character, citrus, vanilla, nutty coconut, creamy, powdered sugar, soft mineral, slightly peppery, white peppercorn, feminine, lively, nice. Finish: Cedar, wood, citrus, smooth, soft, creamy, clean. crisp, mild. 2. Quay - (Mediterranean) $36 - Grain based. Nose: Light, delicate, butterscotch, subtle caramel. Palate: Cashews, vanilla, light citrus, fruity, banana, subtly herbal, grassy, hay notes, mossy, creamy, oily, mineral, wet stone, dusty, evenly balanced, exceptionally smooth, outstanding. Finish: Rich, soft, full-bodied, vibrant, robust. (France) $34 - French wheat based, distilled 5 times. Nose: Citrus, lime, 7Up, light floral, light cherry, olives, crisp. Palate: Lemon, lime zest, melon, fruit, banana, currant, cola, spearmint, white peppercorn, spicy, sweet, balanced, full-bodied, nice. Finish: Cola, soft, creamy, clean, silky, smooth, unique. (Denmark) $24 - Wheat based, spring water, freeze distilled 6 times. Nose: Cedar, flowers, light herbal, nutty, subtle. Palate: Herbal, grassy, rye, anise, hint of nuts, flan, vanilla, powdered sugar, fruit, tangy, acidic, peppery, oily, balanced, well-rounded, very nice, easy to drink. Finish: Sweet, silky, creamy, full-bodied, dry, crisp, incredibly smooth, nice kick. (Tasmania) $30 - Natural Tasmanian malted barley based, 3 times distilled then charcoal filtered. Nose: Eucalyptus, almond, coconut, floral, vanilla, wet stone, subtle. Palate: Almond, carob, nuts, oily, melon, vanilla, anise, pepper layers, mint, grassy, herbal, wet stone, mineral, distinctive. Finish: walnut, spicy, soft, smooth, nice, rich, creamy, full-bodied. (Finland) $22 - Six-row barley based, glacier spring water. Nose: Subtle, zesty. Palate: Grain, almond oil, nutty, vanilla, creamy, orange blossom, fruit, black peppercorn, peppery, spicy, mossy, clean, crisp, balanced, well-rounded, elegant. Finish: Light, dry, rich, oily, smooth, soft. (Canada) Soft white wheat from the western prairies of Canada, 3 times distilled, no carbon filtering. Nose: Fresh, clean, light, hint of vanilla, dusty, potato skin, wet stone, floral. Palate: Creamy, caramel, vanilla, sugar, sweet, cotton candy, touch of coffee, almond oil, dry grain, white peppercorn, mineral notes, floral, herbal, minty, mossy, balanced, easy to drink. Finish: Clean, crisp, rich, creamy, soft, silky. nice bite. 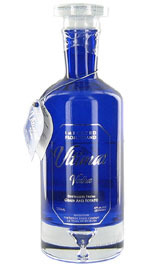 (Canada) $18 - Winter wheat based, Canadian Rocky Mountain water, 5 times distilled, filtered 6 times. Nose: Toast, sweet, creamy, herbal, butter, lemons, delicate, lively. Palate: Vanilla, nut, cocoa, toffee, caramel, potato, grain, black pepper, anise, spicy, herbal, smooth, rich, delicate, well-rounded. Finish: Toasty, smooth, silky, soft. 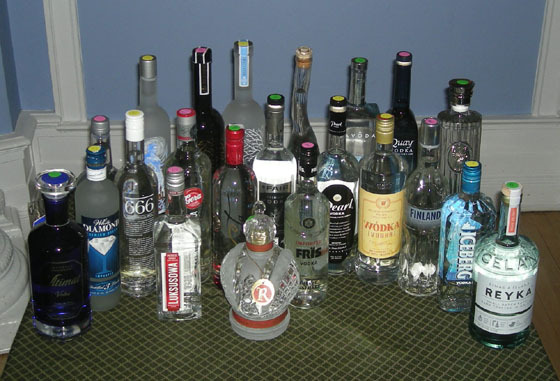 (Poland) $45 - 100% "Single Estate" Dankowskie Diamond Rye, artesian well water, 4 distillations, left unfiltered. Nose:Delicate, slightly fruity, potato. Palate: Mint, citrus, fruity, vanilla, creamy, peppercorn, wet stone, mineral, mossy, grassy, oily, approachable, very well-rounded, easy to drink. Finish: Sweet, soft, smooth. (Lithuania) $18 - Lithuanian wheat, blended with spring water. Nose: Slightly fruity, grassy, nutty, light, subtle. Palate: Wet stone, mineral, cigar box, grassy, hint of grain/bread, vanilla, creamy, peppery, classic neutrality, subtle, fresh, lively, very mixable. Finish: Spicy, crisp, oily, light, soft, smooth, no bite. (Ukraine/ Kazakhstan) $25 - Organic wheat based, blended with artesian water from the Tien Shan Mountains. Nose: Light, sweet, mossy, subtle. Palate: Bright, light vanilla layers, touch of cocoa, citrus notes, peppery, rye, floral, sweet, melony, oily, lively, smooth, balanced. Finish: Mint, anise, spicy, hot pepper, nice bite. (Mediterranean) $35 - Wheat based- Quintuple filtration (birch charcoal, marble, silver, gold, platinum), mountain spring water. Nose: Light lemon-lime, citrus, floral, delicate. Palate: Floral, rose petals, rich, creamy, powdered sugar, vanilla, herbal, mossy, potato skin, mineral, citrus, spicy, pepper. Finish: Mint, grassy, coconut, robust, dry, clean, smooth, silky, light. 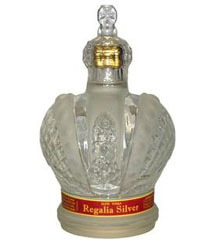 (Poland) $32 - Gold rye based, artesian well water, 4 distillations. Nose: Light floral, citrus, lively, zesty. Palate: Herbal, flowery, vanilla, vanilla cream, almond oil, mint, peppery, oily, balanced. Finish: Grassy notes, spicy, dry, creamy, soft, smooth. (Iceland) $22- Wheat base, glacial water filtered through lava rocks. Nose: Touch of citrus, flowery, grain, subtle. Palate: Notes of grain, nuts, citrus, light butter, light anise, wet stone, balanced. Finish: White pepper, intense, oily, sweet, light, fresh, silky, soft, creamy smooth. (Potato) $20 - Potato based, artesian well water, distilled 3 times. Nose: Lavender, herbs, fruity, assertive. Palate: Fruity, grain, buttery, herbal, grassy, black pepper, peppery, wet stone, smooth, balanced. Finish: Subtle, clean, velvety, soft. (Poland) $40 - Wheat, rye and potato based, artesian well water, 6 times distilled. Nose: Lemon peel, light grain, oily, acidic, light, subtle. Palate: Citrus, rye, pepper, almond, nuts, anise, spearmint, minty, fruity, melon, layers of cream, white chocolate, sweet. Finish: Citrusy, creamy, clean, light, dry, metallic, round, smooth, balanced, bursting. (Canada) $18 - Sweet corn based, blended with iceberg water. Nose: Mixed citrus, cola, sweet, sugary. 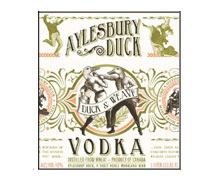 Palate: Floral tones, herbal, lime, redwood, vanilla, maple syrup, fruit, lightly sweet, creamy, smooth, clean, crisp. Finish: Candy, pepper, oily, creamy, smooth, rich, full-bodied. (Russia) $35 - Russian-grown wheat, blended with aquifer well water, followed by sand, birch, and charcoal filtration. Nose: Light mint, spicy, light citrus, subtle. Palate: Fruity, melon, almond, vanilla, anise, rye, creamy layers, powdered sugar, citrus notes, pepper, spicy, smoky, oily, astringent, very smooth, dry. Finish: Spicy, smoky, woody notes, rich, zesty, soft, smooth, gentle. 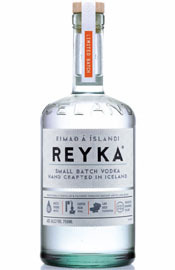 (Latvia) $14 - Rye and wheat based, artesian well water, 5 times distilled, 14-step “mountain crystals” filtration. Nose: Pepper, complex. Palate: Caramel, toffee, vanilla, cream, buttery, cassis, chocolate, licorice, mint, floral, mineral, semi-spicy, peppery, soft, smooth, lively, zesty, well-rounded, well balanced very nice. Finish: Pepper, melon, woody, oily, light mineral. (Poland) $14 - Rye based. Nose: Citrus, lemon zinger, subtle. Palate: Lemony, citrus, almond extract, floral, moss, grassy, potato skin, horseradish, pepper, oily, woody. Finish: Rich, full-bodied, wood, oily, spicy, silky, smooth. 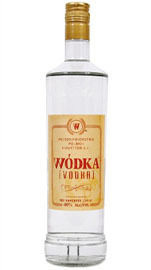 (Poland) $55 - Rye, barley and wheat based, 3 times distilled. Nose: Lightly buttery, nutty, woody, herbal, zesty. Palate: Citrus, floral notes, herbal, vanilla extract, buttery, nuts, leather, oily, distinctive. Finish: Hot pepper, sweet, light, smooth.